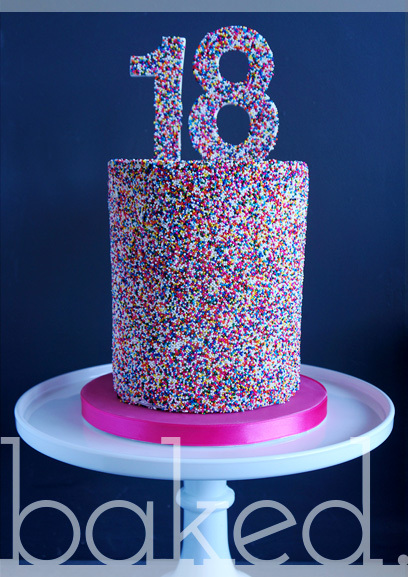 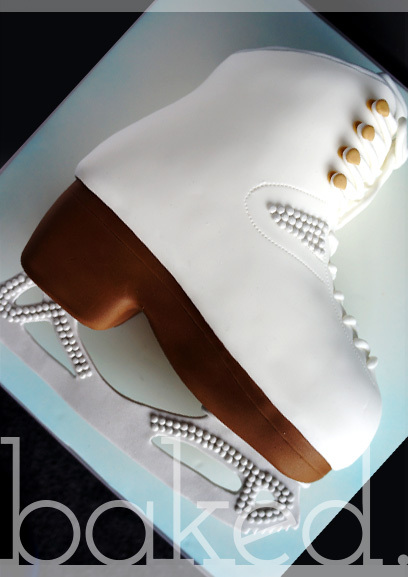 Girls love cake, and we take our cakes seriously here at Baked! 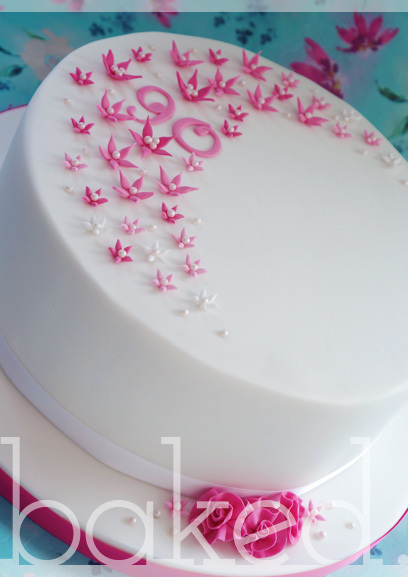 There are some examples of our past creations below, but we love making new designs! 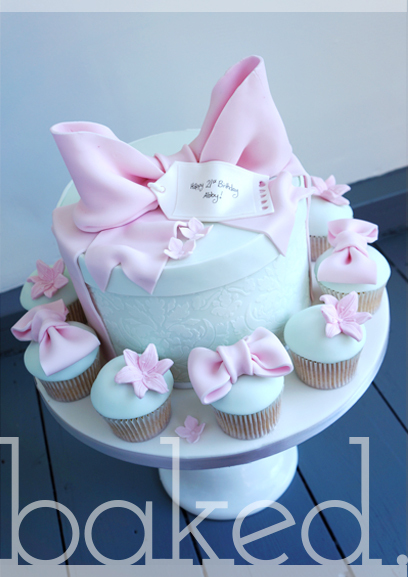 An 8" Mint Green Hatbox Cake, with damask pattern and 10 adorable cupcakes. 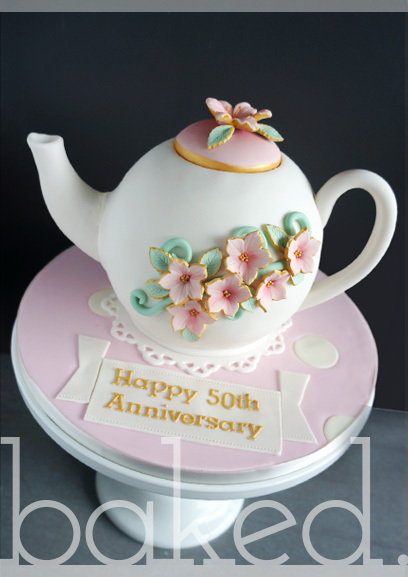 Pretty teapot cake with guilded flowers. 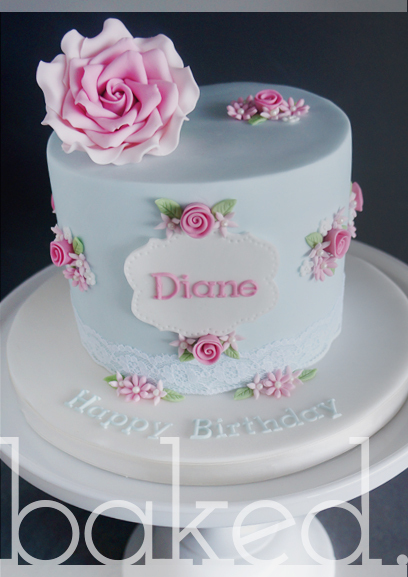 Pretty 6" cake with rose decorations, colours can be altered for a different look. 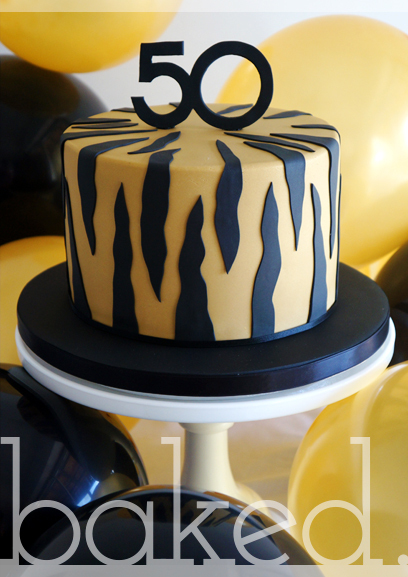 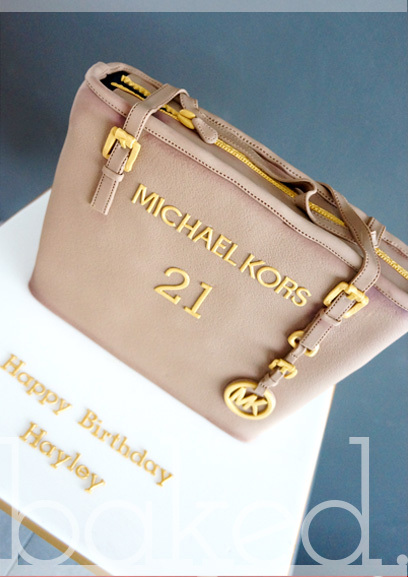 An 8" Gold cake with black tiger stripes and large number on top. 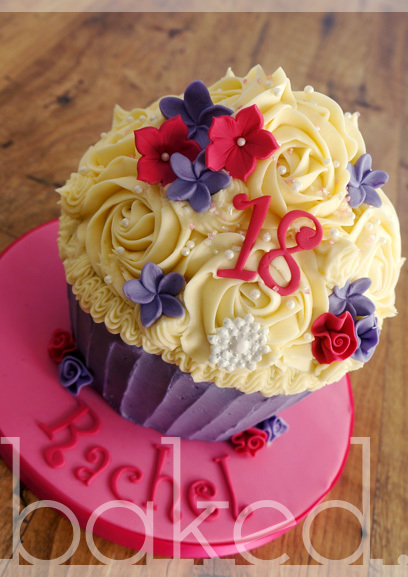 6" tall cake with pretty frill top and side flower. 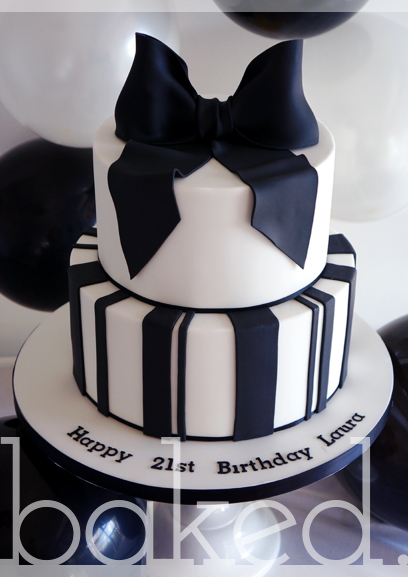 Magnificent two tier black and white celebration cake. 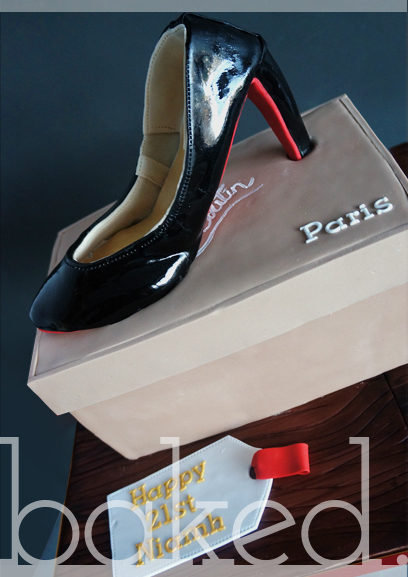 There are so many options available with giant cupcakes, each one tailored to the event. 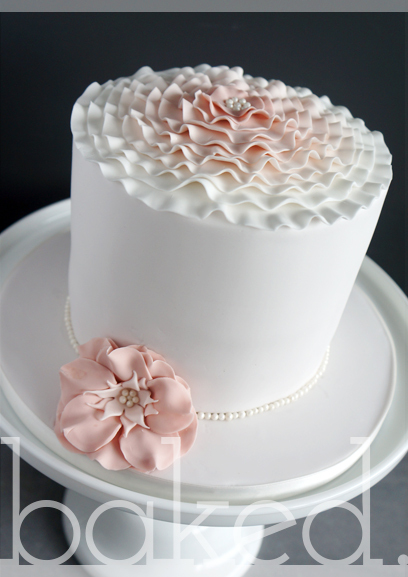 Simple but elegant design for this scatter flower cake. 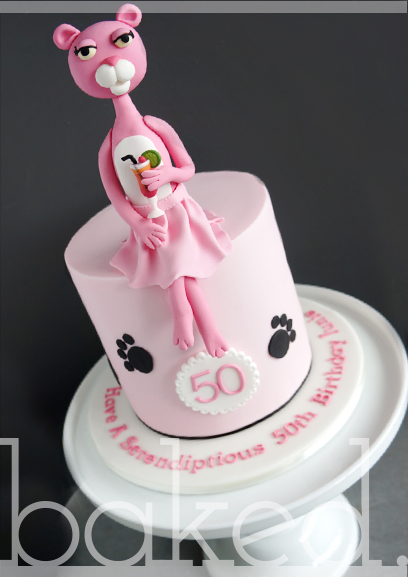 Pretty pink birthday cake with paw prints and pink cat drinking a cocktail! 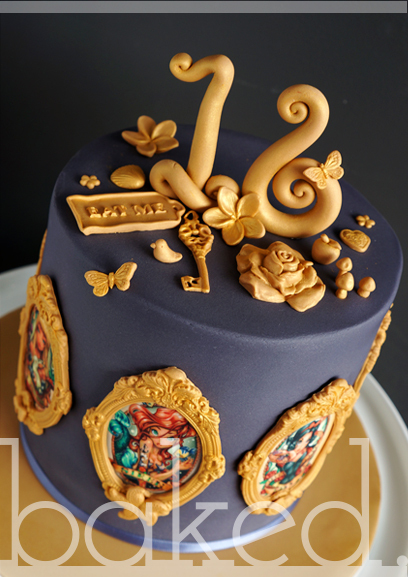 Vintage style slate grey Disney princess cake with gold details. 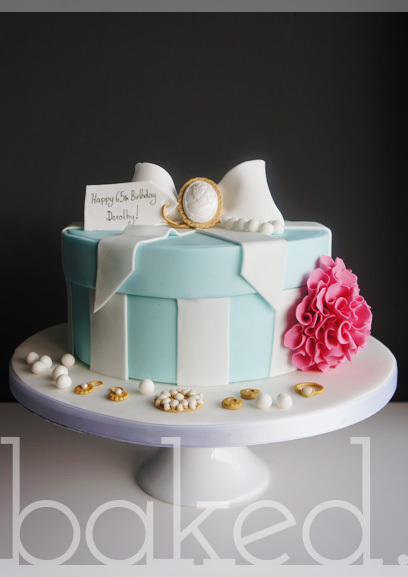 An 8" Mint Green Hatbox Cake with personalised edible tag and jewellery.